Boston Handmade: Food, Fuel, and Crafts? On a recent trip on the Maine Turnpike ... 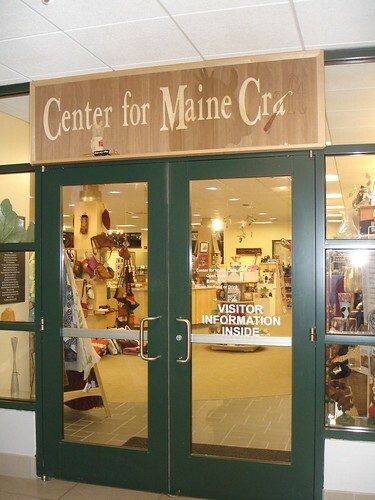 I stopped at the West Gardiner service plaza to check out the Maine Center for Crafts ...yes you read that right. 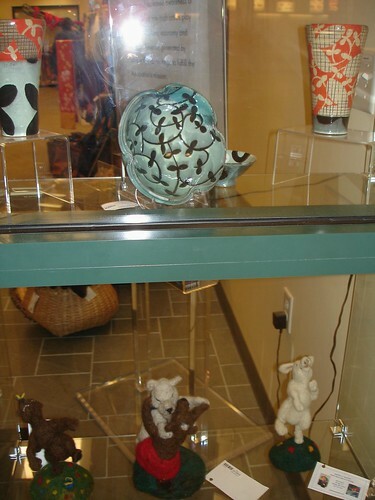 The Center is a retail operation and Gallery operated by the Maine Crafts Association and features the juried work of Maine artisans in a large retail setting with a smaller space dedicated to curated exhibitions (currently jewelry artists). 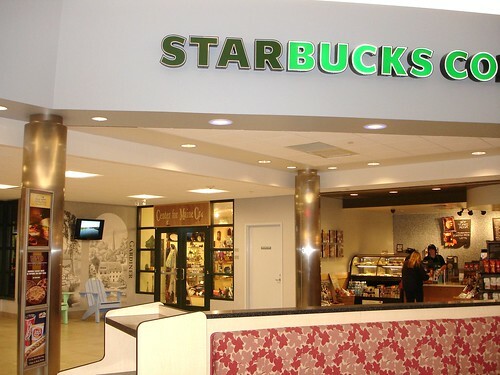 On a previous trip I listened as the cashier surveyed each customer who made a purchase as to how they heard about the Center --- the majority (unlike myself) indicated that they'd come in to use the rest rooms. (Gosh --- if I had a nickel (or a sale) for everyone that had to go to the bathroom :) ). i recognize those pots! adero willard, nice!